Google has set up an independent business outside the Alphabet umbrella called Dandelion. The new company was created to promote new geothermal system technology. Dandelion replaces your existing heating, cooling and hot water equipment with a geothermal system that harvests energy from under your yard. A geothermal system uses a heat pump and underground pipes to move heat between the earth and your home — it’s the most efficient way to heat and cool your home. Geothermal heating and cooling taps into a renewable resource that never runs out and is over 3 times more efficient than conventional heating and cooling systems. Dandelion’s geothermal system is quiet, clean, and includes a smart thermostat so you can keep your home comfortable year-round. Dandelion’s mission is to make it easy and affordable to heat and cool every home with the renewable energy in the ground: geothermal energy. 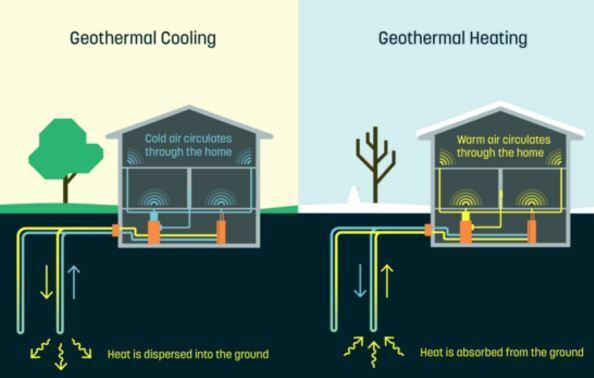 Originally conceived at X, Alphabet’s innovation lab, Dandelion is now an independent company offering geothermal heating and cooling systems to homeowners, starting in the Northeastern US.